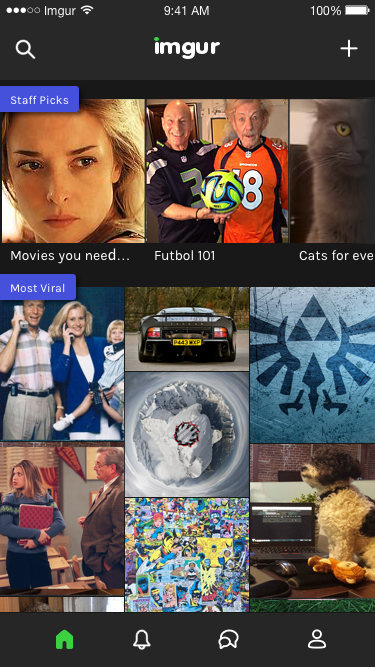 Imgur is the Internet’s visual storytelling community. 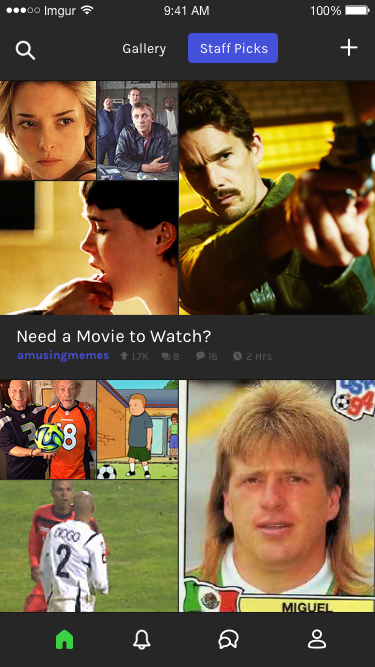 Millions of people come to Imgur daily to explore, share and discuss awesome content. As a part of Imgur’s Q4 goals, they wanted to increase the amount and engagement levels of their native mobile app users. To achieve this goal I helped with the development of a new feature launch that will be rolled out across all platforms called Collections. I worked specifically on the design and implementation of the feature on iOS. Over the course of a month I worked on the development of the “Collections” feature from the initial wireframes through high fidelity mockups. During the process, Imgur’s internal design chief was also implementing a redesign and I helped develop the feature to fit the new design parameters. The design and implementation of Collections had two primary goals. The first goal was to give current Imgur users a quick and seamless way to organize content that they had previously favorited. The Imgur community had been requesting the ability to organize their favorites for a long time, so implementing this with as much polish as possible was important. The second goal of the feature launch was to provide more compelling reasons for new users to engage with the Imgur community. In order to do this, we included a way to post a collection into the Imgur gallery. These collection posts offered a new type of related content groupings which would be more digestible for new users. 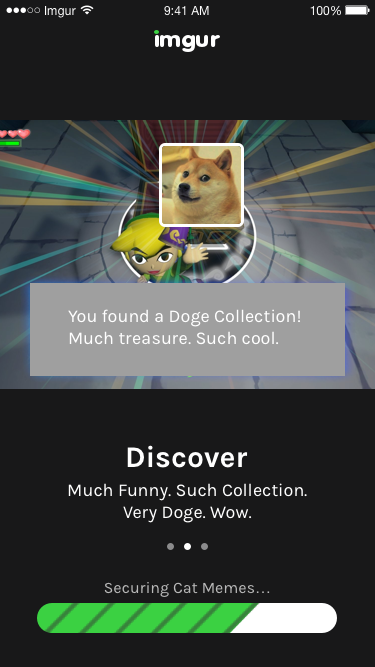 Two main challenges we faced for the feature launch were how to introduce collections to current power users in a way that matched Imgur’s voice as well as how to leverage this fresh type of content to entice new users. In order to solve the first challenge we introduced current users through tutorial pagination while we migrated their current profile set up to the new one that included collections. The tutorial pagination was a fun way for Imgur to retain its witty voice while also sharing how collections were being implemented. To solve the second challenge, we designed a curated content section that consisted entirely of user created collection posts. 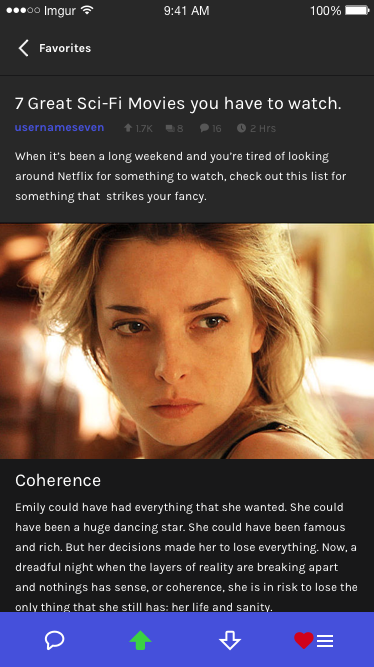 This section of Imgur, referred to as "Hand Picked" was a simple way to surface this new type of content without having to create a whole separate viral gallery for it.